I’ve got even more fun wall art for you guys! I know I’ve been on a kick, but this room has a LOT of wall space and I didn’t have much to hang, so I’m making it all myself :). 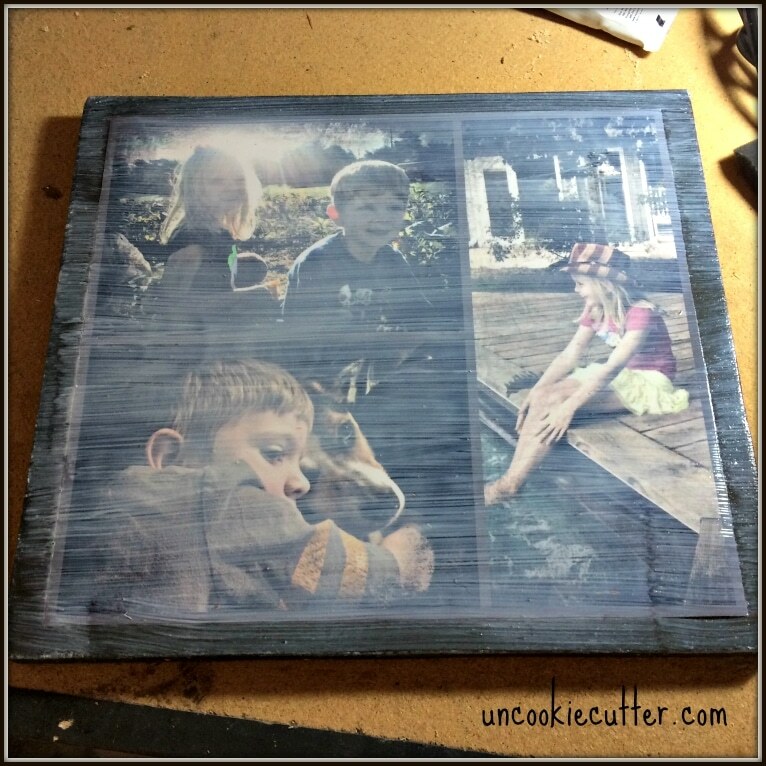 I noticed a while back that on a couple of big photo sites, you could order your picture on a piece of wood. I thought it was a great idea, very pretty – but also comes with a hefty price tag. So I thought I’d try it myself. I had a couple of snapshots from my phone that I loved, but they weren’t great quality, so I couldn’t blow them up for large wall hangings. 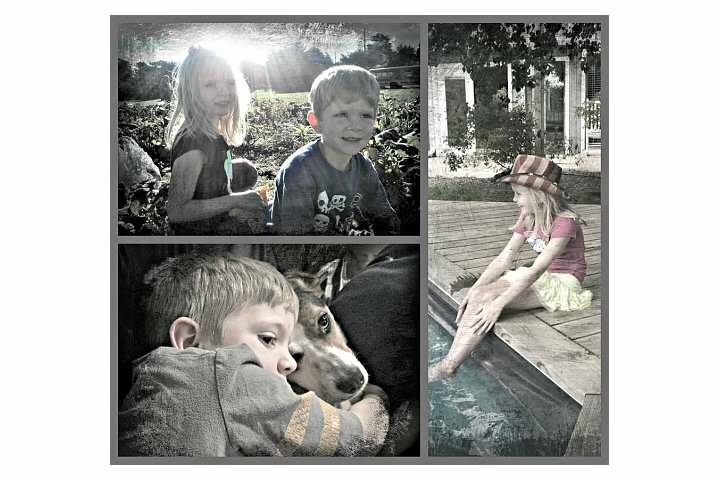 So I decided to make them into a collage in PicMonkey. 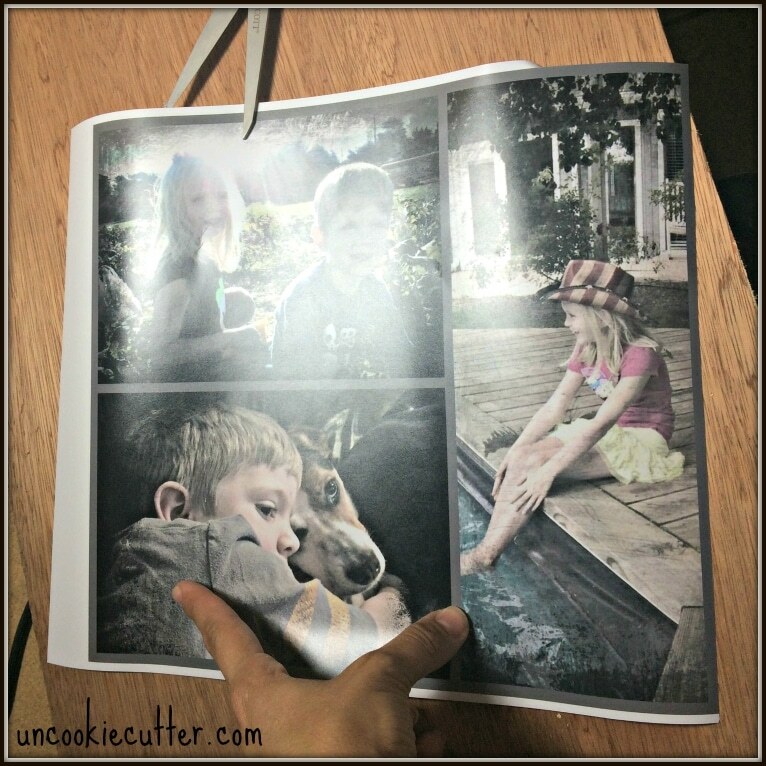 PicMonkey is great for editing photos and I use it all the time for my blog photos. I went into their “collage” option and played around until I got this pic. I would love to walk you through step-by-step, but I did this a few months ago and honestly can’t remember how. I just played around until it looked like I wanted. I could spend all day on PicMonkey (and it’s free)! Once I had the pic the way I wanted, I uploaded and ordered it from Shutterfly. I always have scrap wood laying around, so I went through it until I found a piece that would work. I trimmed the white part off the pic and then trimmed the plywood to be just a little bigger, so that it would create a frame. Once I had the size I wanted, I stained my board using a couple of coats of Minwax Ebony wood stain. 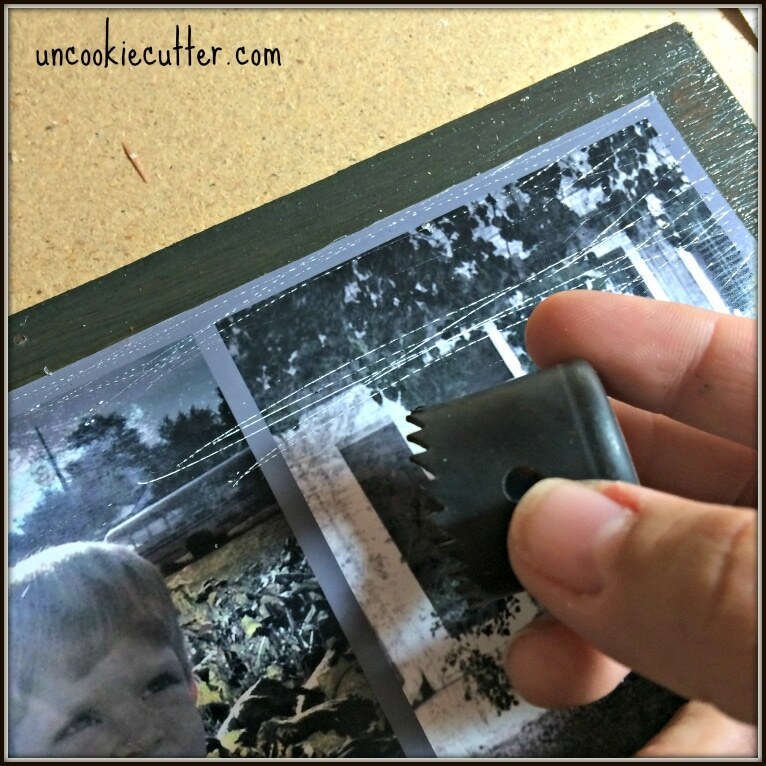 Then I used Modpodge to glue the pic onto the board. Once that dried all nice and pretty, I did another coat and pressed down the spaces that were sticking up a bit. Then I took a drill bit (you could use anything) and scrape it across the frame a bit to make it look a little more worn. I could have hung it like this, but I wanted to add a little more to it, so I drilled some tiny little starter holes in the top and hand-screwed in these little hooks that I found in the hardware section at Wal-Mart. I also found that chain there, so I grabbed it. It’s some sort of pulley thing. (I think that is the official name). I forgot to take a picture before hand, but it was silver, so I spray painted it with Rustoleum Metallic that I use on everything. Since it was magnetic, I threw a magnet on it! I love it because I can change this whenever I want :). It seems like animal skulls are “in” these days and I’m embracing this Oklahoma thing, so I just went with it. That’s it! Pretty easy stuff! How do you display family photos? Do you have any picutres that you’ve turned into wall art? I have a bad habit of displaying them on Facebook and that’s it. I feel like the mom in that commercial that never hangs up pics of her kids, haha. I’m slowly redeeming myself. 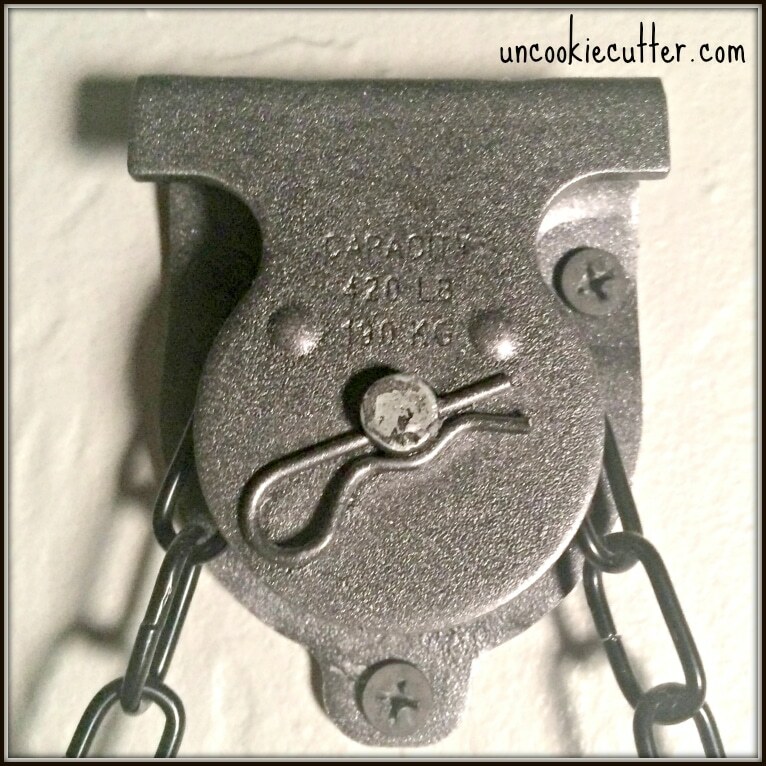 Check out my DIY Industrial Wall Blanket Holder HERE. I’m partying over at REMODELAHOLIC! What a fun project! I love how it turned out! Thanks for sharing! I think I might try this one! Thanks Emily! So easy to do :). I love how this turned out. What a great idea- cheap and easy and really cool! I love this! Your projects are always so much fun! This is so cool! I love how it turned out! I have always wanted to do something like this but was not sure of the process. This is such a neat idea, and doesn’t look too hard! Thank you for sharing your craft!! It’s so fun…and addictive! We will play sometime. Thanks for coming by, Karyl! OMG! I am so glad I found you (or we ended up in the same share train). 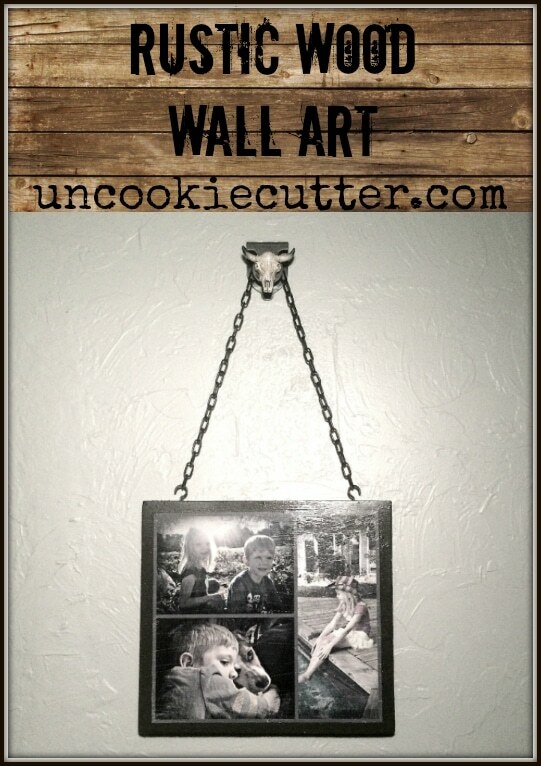 I love your rustic wall hang! I saw your tutorial of your gallery wall (with the trees) and loved it but then my phone died and I couldn’t find it again. SO GLAD I found you!! LOVE LOVE LOVE YOUR STUFF! You rock! Wonderful wall decor. Love it! You have talent girl! 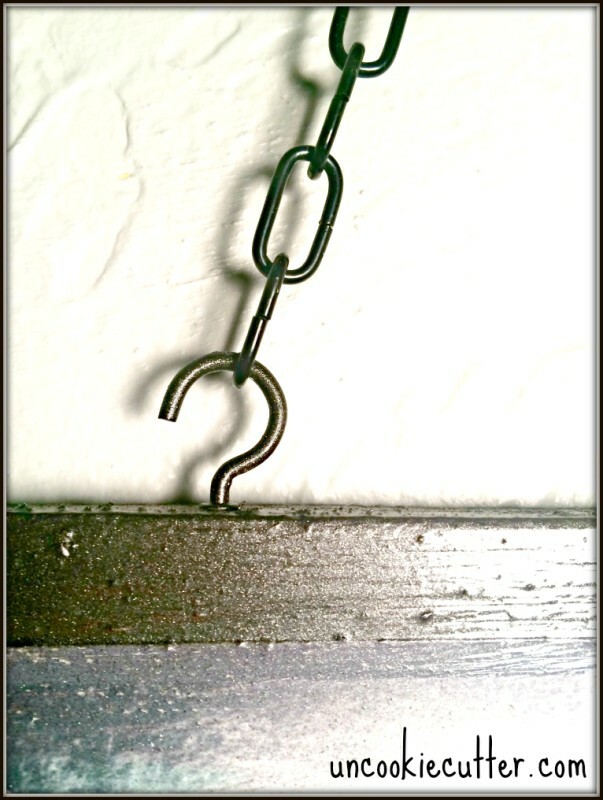 I love the whole chain and pulley idea–so industrial and cool. 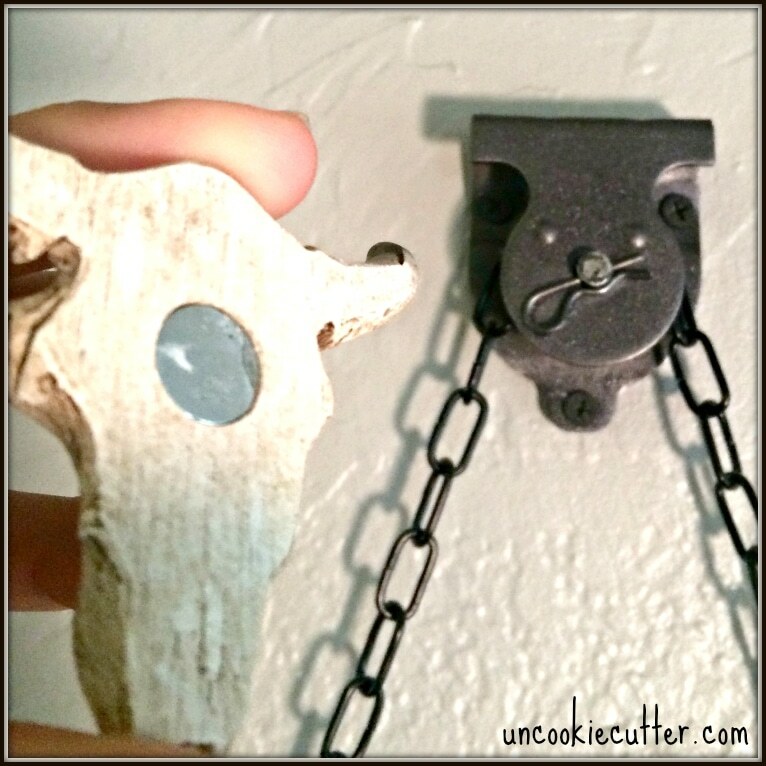 That animal head is totally something you have rustic industrial down to the tee! Very cool DIY project! Thanks for linking up to Blogger Brags. I have pinned your post to the Blogger Brags Pinterest board. I really like this! 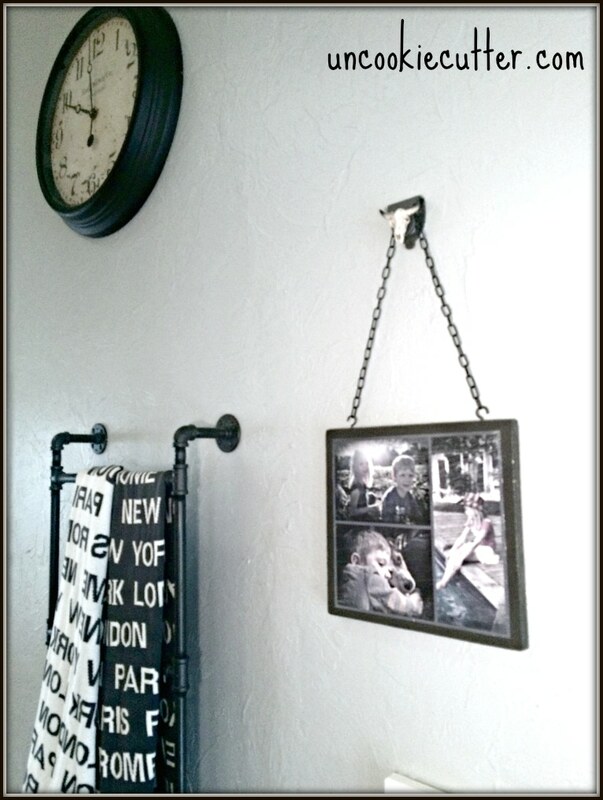 i’m always looking for cool ways to display pictures! Thanks so much for sharing at the Submarine Sunday Link Party! I hope you’ll stop by again soon! Thanks so much T’onna! I’ll be back :).